Since 1991, Federal-Fabrics-Fibers, Inc. has been at the global forefront of advanced textile applications. 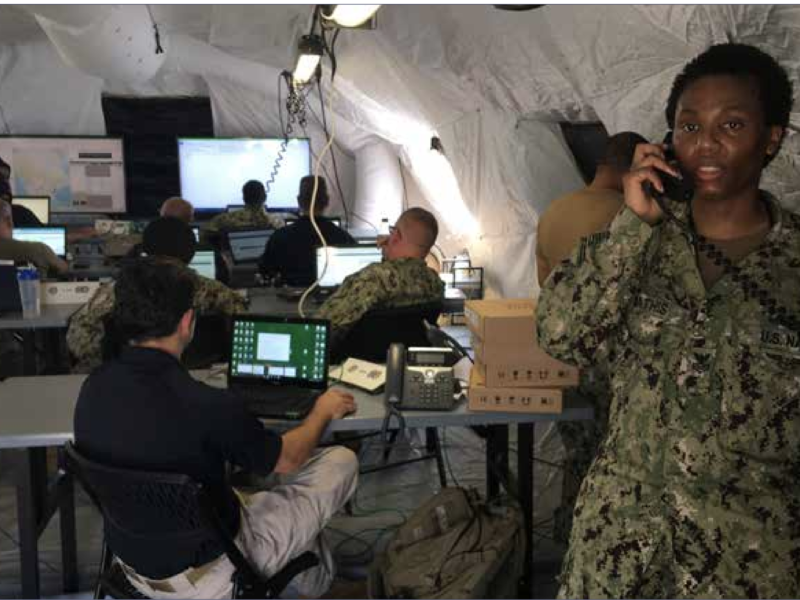 Our patented 2&3D Shaped Woven technology (AirBeam) can be seen in a wide variety of military, federal, and commercial applications around the world. All shelters are able to be interconnected by any man door via temper adaptor connector. 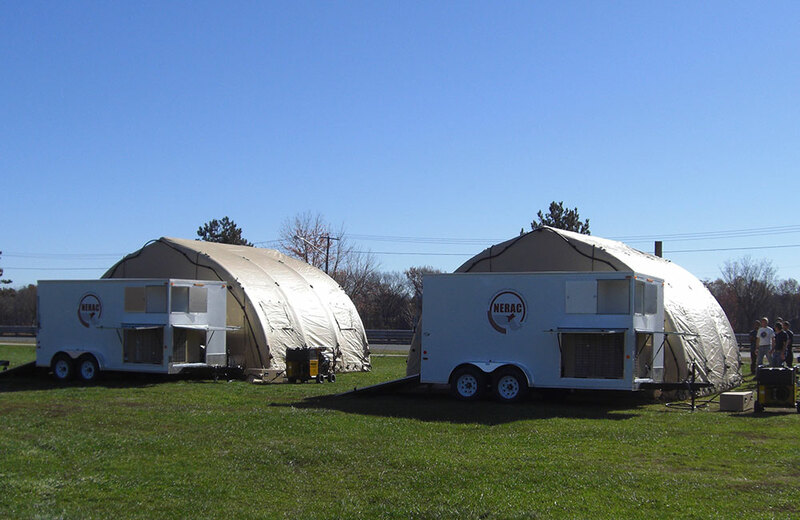 These shelters can be connected end to end, side to side, end to side while still maintaining weather tight connections. 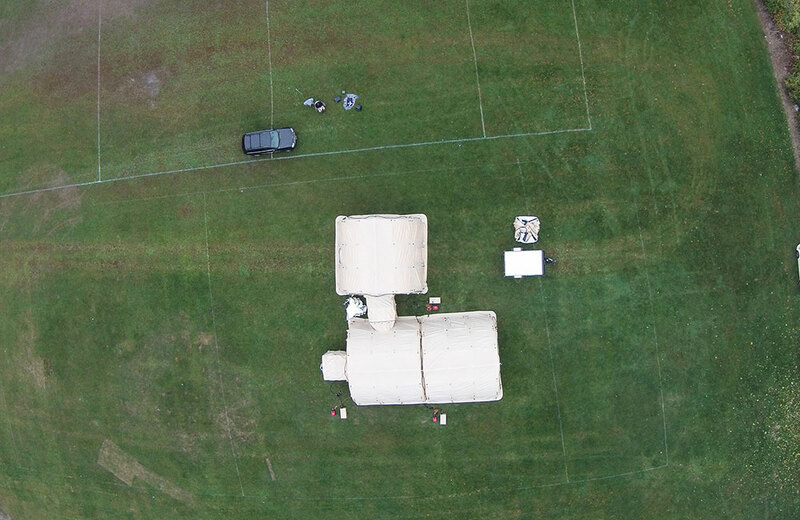 Multiple commercial options available for fully integrated trailered solutions. 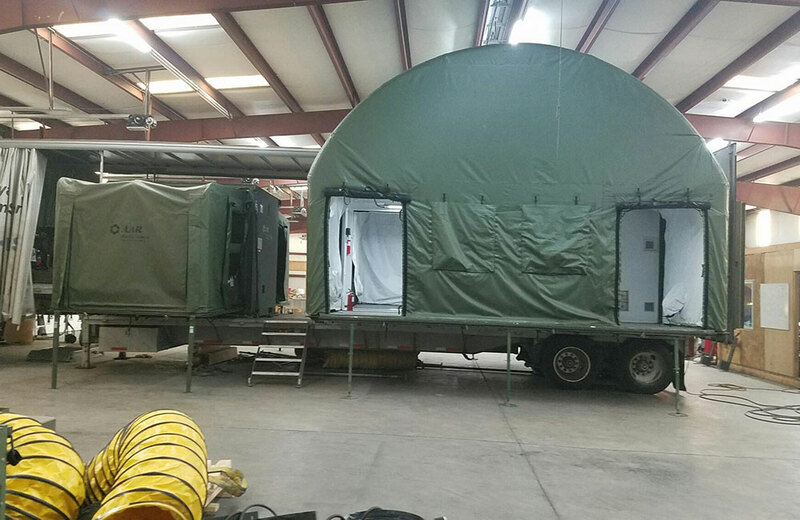 Trailers come complete with Environmental Control Units, Mobile or Static Generator, Smart Inflation Unit, AirBeam Shelter and turf carts. Brand new design and functionality of our SS-253812-01 provides a much needed size in between the standard 20’ and 30’ systems. All comes in a single automatically deployed Command TOC/ADMIN/BILLETING solution. 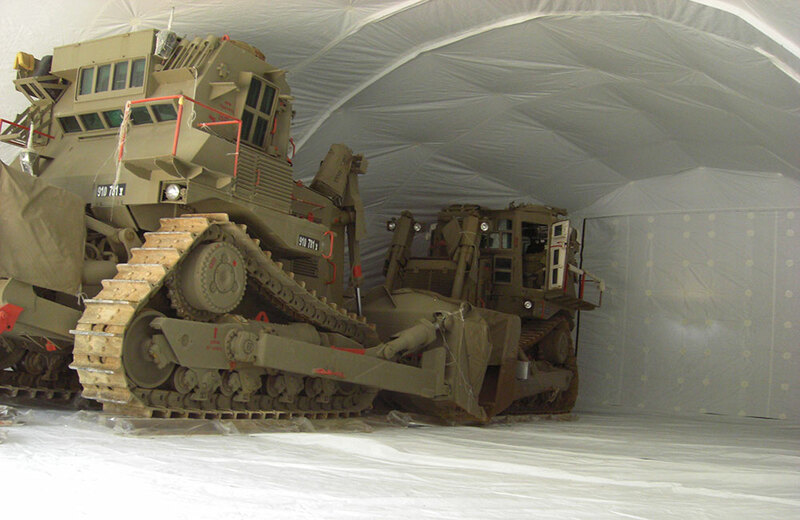 Federal-Fabrics largest standard system (40’ Wide) houses two Armored D9 Dozers. These large systems are able to be deployed from a single package. 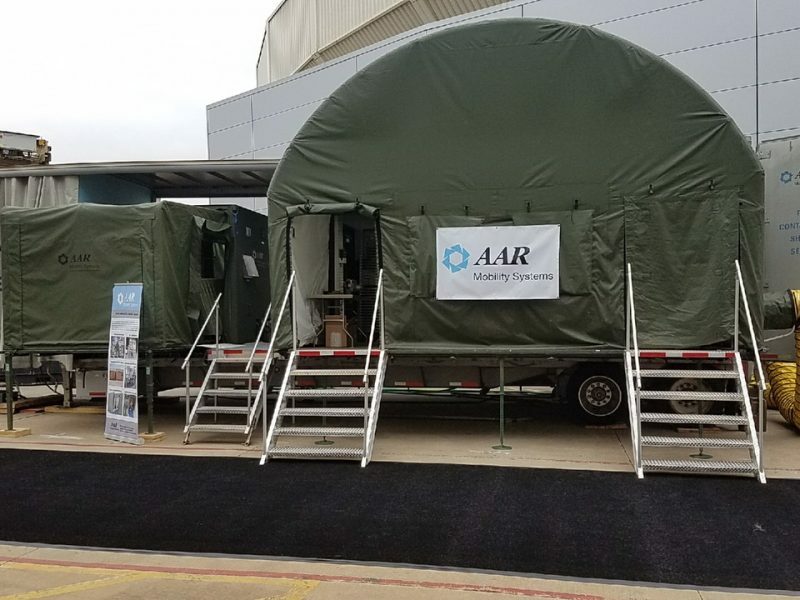 Partnering with AAR Mobility Systems, Federal Fabrics helped to design and build a suite of improved containerized kitchen systems vastly improving headroom for heat to escape. This system also reduces weight and is easier to setup. 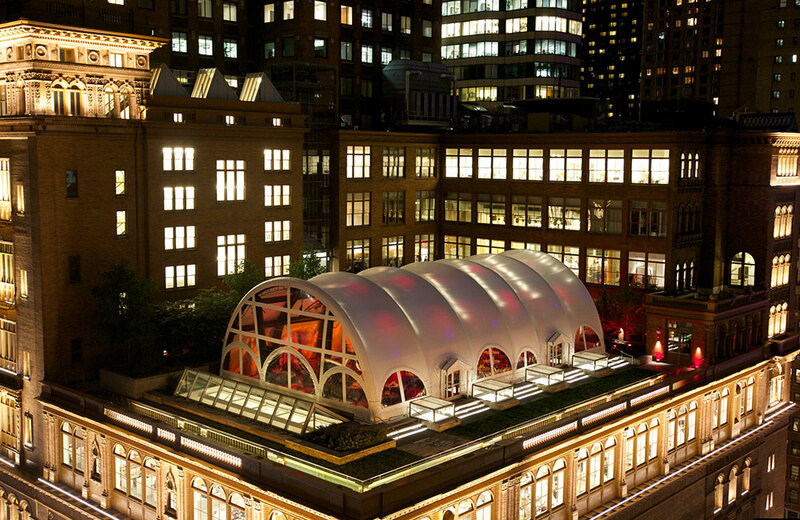 Carnegie Hall needed to spruce up their brand new roof top patio area. 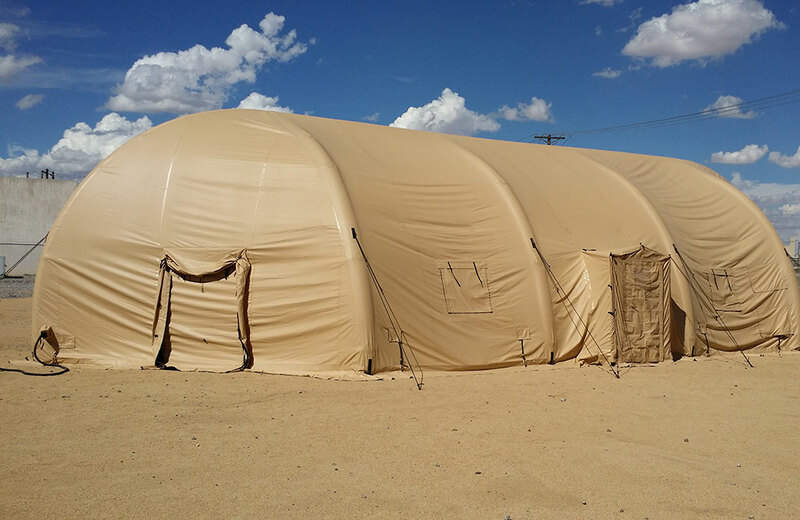 What better than a brand new “Air Tent” as dubbed by various magazines. This shelter has won the AFAI Award along with many accolades within the fabric marketplace. 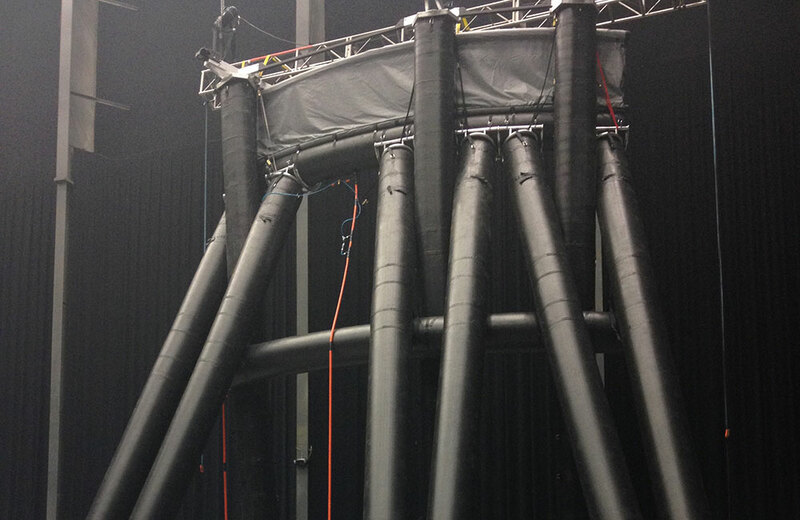 No obstacle to high or difficult to overcome, Federal Fabrics was able to design, engineer, and build a 40’H x 40’W x 40’L structure that was transformed into a tree for Cirque Du Soleil’s Avatar Toruk production. 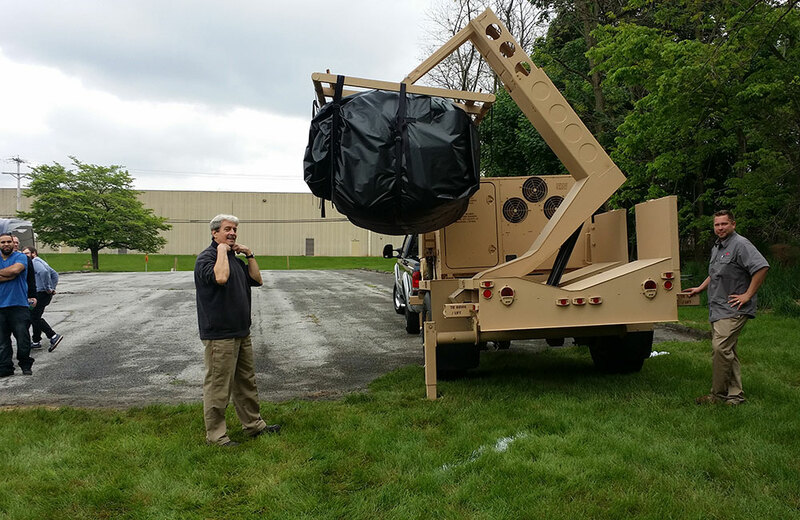 In the search to provide the military marketplace with another option for basecamp solutions, Federal Fabrics has partnered with Tekgard, Inc. in order to custom design a new heavy duty military trailer capable of lifting heavy shelter packages from a single point with a single operator. 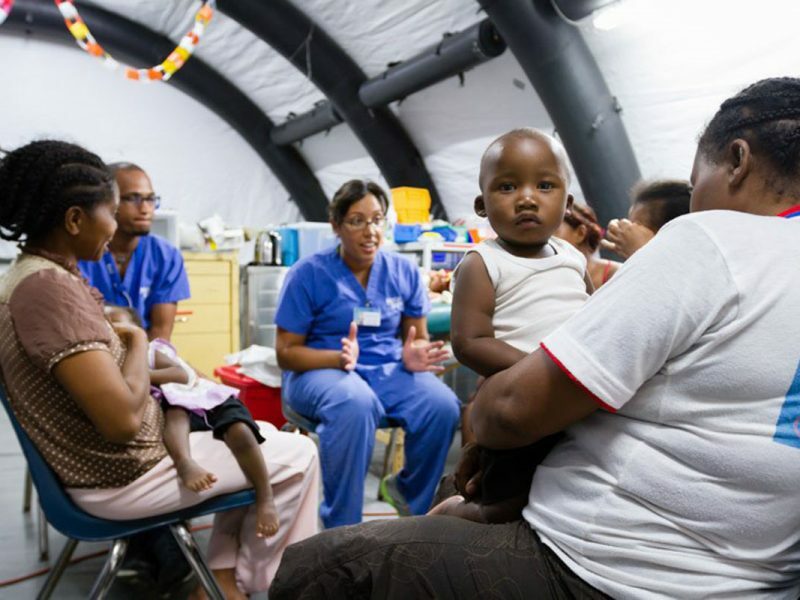 The Mercy Ships Procurement Department would like to extend its heartfelt gratitude to Federal-Fabrics-Fibers, Inc. for your recent donation of Dockside Tents. Without the support of generous people like you, we could not begin to perform our mission to the world’s impoverished people. 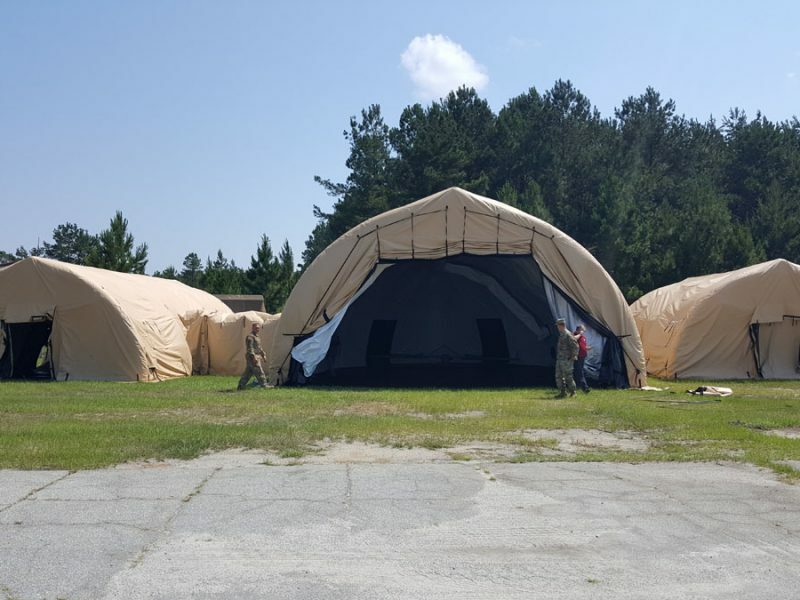 The “Soft Shelters” provided by Federal Fabrics are impressive in their ability to self-inflate without sacrificing strength and resistance to deep snows, heavy rains, strong winds or even intense heat. 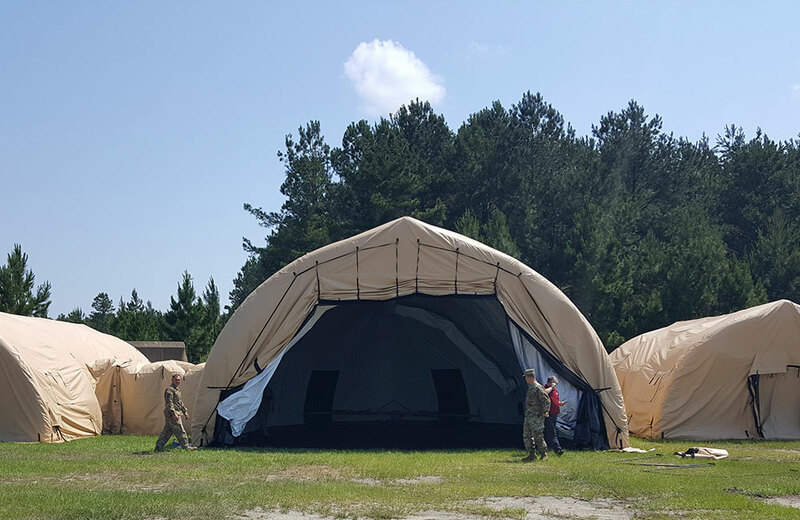 Designed with the military in mind, the shelters are ready to meet the needs of first responders and evacuees needing protection from the elements.